darkSpyro - Spyro and Skylanders Forum - Video Gaming - Them's Fightin' Herds All-Purpose - 1.0 Coming Soon! 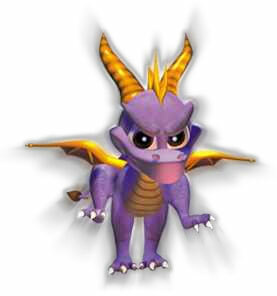 darkSpyro - Spyro and Skylanders Forum > Video Gaming > Them's Fightin' Herds All-Purpose - 1.0 Coming Soon! Them's Fightin' Herds All-Purpose - 1.0 Coming Soon! Creating another thread now that the old one's gone and the game is close to release. Fœnum is a world inhabited entirely by sentient four legged, hoofed mammals. Across the land, these creatures have thrived much as we humans have, building societies and creating cultures revolving around the natural environment their particular species is indigenous to. But the time of peace is almost over. Countless packs and prides of Predators have discovered a way to escape their supernatural prison and are on the verge of infiltrating Fœnum en masse, led by the greatest and most horrible of them all! And so each nation of Fœnum has sent their strongest, bravest, most skilled of their race to face the Predators’ Leader and close the portal of the prison realm with an enchanted key. But it is up to each of these “Key Seekers” to become the one and only “Key Keeper” by securing the key for themselves – even if it means to take it by force! Which it does. Them's Fightin' Herds is a fighting game based on the defunct Fighting is Magic fan-game project, using the Z-Engine from acclaimed fighting game Skullgirls to revive its various mechanics and finish Mane6's many year long work. 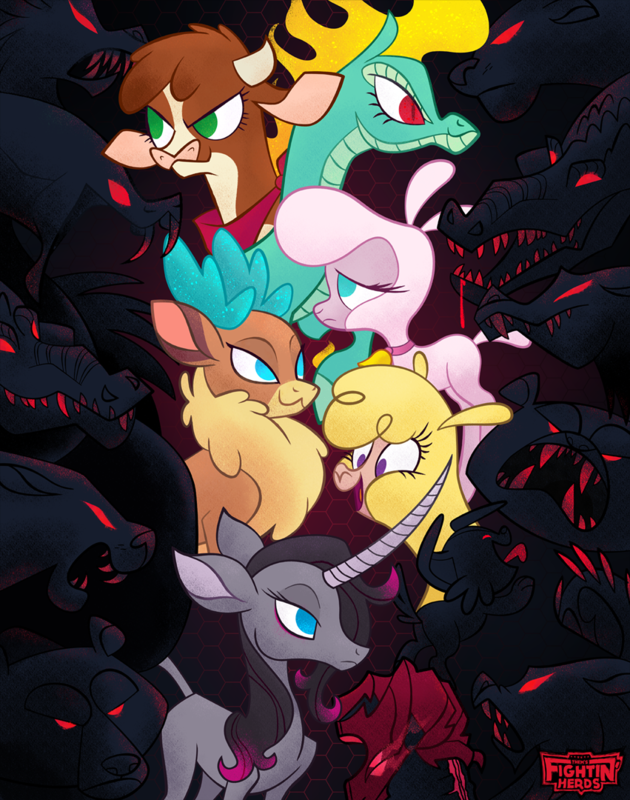 The game is based around the theme of ungulates from a fantasy world fighting against the threat of villainous carnivores, designed by My Little Pony: Friendship is Magic creator Lauren Faust. The game is also known for its amazing music from composer Stuart Ferguson, also known as RC88. As of Dec 17th, there's finally a release month: February 2018. If you want to start learning the mechanics early, there's a competitive group of backers already with match commentary up on Youtube. Arizona, a hotblooded cow ready to prove her worth to her species. Velvet, an elegant deer with great magic powers and an ego to match. Oleander, an unicorn changed by her dark magic partner Fhtng(Fred), attempting to prove the world the heroic potential of the darkness. Paprika, a.... Special kind of llama, with her destructive love directed towards the ungulates' common enemy. Pom, a shy sheep, sent against her will to save her world for speaking up, with her mysterious dog companions as her only help. Tianhuo, a mature Longma general, still learning about compassion and how life isn't solely about being the winner. A yet to be revealed mountain goat character. ....Uh... Trailer comes here when they actually release one of the current build. It feels like a lot of the hype surrounding it probably has disappeared a good bit. A lot of the attention and goodwill it got was based on its origins as an MLP fighting game, and with the brony community seemingly dwindling and moving on I wonder how many still pay attention to this one. It's pretty much survivjng off of people who let MLP go or some experimental fighting game fans. I recall way tol many bronies getting furious over the fact Lauren stepped up to help them but made it lack ponies entirely(and also a harder fighting game because of the Mike Z-Engine), so I don't blame Mane6 for not caring in return and even changing terms on their forums to not mention the show. One thing I forgot to note is that story mode will be episodic, and while all characters but Goat will be avaliable from the start, only Arizona will have a story mode by launch. The usual issue with running out of funds I bet, but they at least the main artist has work streams to show she's in fact working on that front. I'd actually like to buy the finished product. I've been following it since before they had to completely change it. This kind of game doesn't really get much attention these days. As AAA game designers milk them for money too much. So it's good that a designed-for-quality fightin' game is coming out. Edit: Back when it happened, yes I was upset that it was shut down, but was happy to hear that they could continue development, even if it meant ditching all their previous art assets and starting from scratch with lore/backstory and art. A lot was still kept, icedragon, which is why Goat girl is still the only one we have no info about. Though with slight changes, Velvet is still about fighting with grace and magic, Oleander still has the same reading spells mechanic, Pom is still about summoning animals. With the way developers seem to regularly run out of money halfway through development, starting Fighting is Magic was kind of a blessing since there was no need for alpha for TFH(except for the dynamic music gimmick). I am aware that a lot was kept. I could draw comparisons between the characters and the 'original characters' in FiM. So yes, the Goat is the unknown because there is no character from the former Fighting is Magic to draw from. She'll be the most original character released in the game. Oleander is my favorite, such a dark design. I think they said in a stream Goat and any new characters will be based on scrapped updates to Fighting is Magic(so any S1-S2 characters), but yeah they don't actually have gameplay decided yet. I like the OST as a whole for sure, but dunno, Final Round themes didn't catch my interest too much. Probably because it loops part of the song rather than just adding the new instruments. Skullgirls, Blazblue and Guilty Gear avatar packs for the online lobby if you own any of their newest versions! Huh, I thought Christina Vee was called in back then and would've voiced someone? Oh well, can't wait to see these actors, I only recognize 3(including Tara Strong, obv). As another funny tidibit, didn't know Fhtng/Fred is a dev account on the forum. His occupation is, uh, Unicorn Youth Advisor. I need an adult. If this comes to console I might pick it up. Looks super out there and fun! actually looks pretty good! how much is it? 15 bucks! And if you like getting destroyed in online, it'll even have an opening tournament. interesting. i'll have to pick it up once i get a new computer. Game(in Early Acess due to IRL dev team problems) and soundtrack ARE OUT! If you own a copy of Skullgirls, you get a 25% discount! Story Mode and a few other parts are still missing because of said dev problems, however, the PvE dungeon and versus(online and local) are fully working. Big bump for an update that's been a long time coming - what happened to the game still being stuck in Early Acess. Tl;dr, the artists that pushed the version back had even bigger IRL issues than anticipated, and it's actually 3 people out of the game for the foreseeable future. Being, well, the Mane 6, they're scrambling for a replacement artist but that can only speed up so much. However, they're trying to get in some other QoL changes and a few extra animations in the meantime. Finally a positive bump! The team has hired a new manager and the expectation is to leave Early Acess this year. Which is good, the forums were having a slow death already. oh man that game still isnt out yet?! It has been on Early Acess this entire time because there were things ranging from a house fire to "serious IRL things" with some of the devs, making them roll back to 0.9 until now. Seems like the new manager and the new pixel artists(for Lobby stuff) helped them get back on track though, because they'll go back to the same promise as before of having the first chapter of the story mode ready on release. To be honest... six playable characters is way too few. I feel like that will make the game get boring way too fast. Goat will come after 1.0. So 7 playable characters? That's still pretty puny. eyes emoji here. I love fighting games where the level 3 is more for the spectacle than anything. edit: Here's the work stream! It has recent Early Acess footage too, for who isn't following development and want to see how things are looking. This is great for me because I uninstalled until I can actually do anything with my save without wipes anyway - I think last update already removed target practice scores, again. I think this game looks pretty cool, I love the cutscene parts before the fights and the characters. Also, in the newest Backer update thread, Goat DLC has been confirmed as female. That's weird, I remember the devs saying the goat was going to be like Big Band and be the first male character in the cast.